A charming holiday home with lovely sea views and sunny patio. 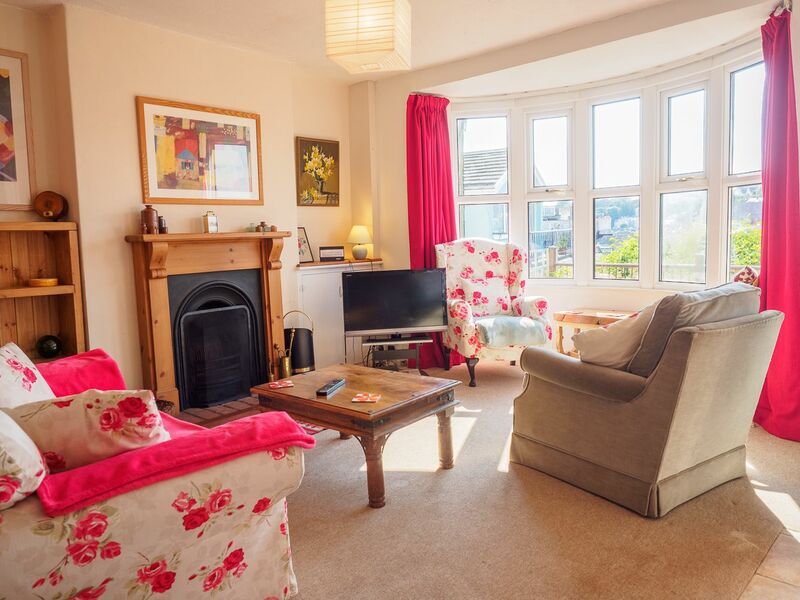 Stylishly decorated and furnished throughout with a clever blend of old and new, this property offers a home-from-home feel for your Brixham break. 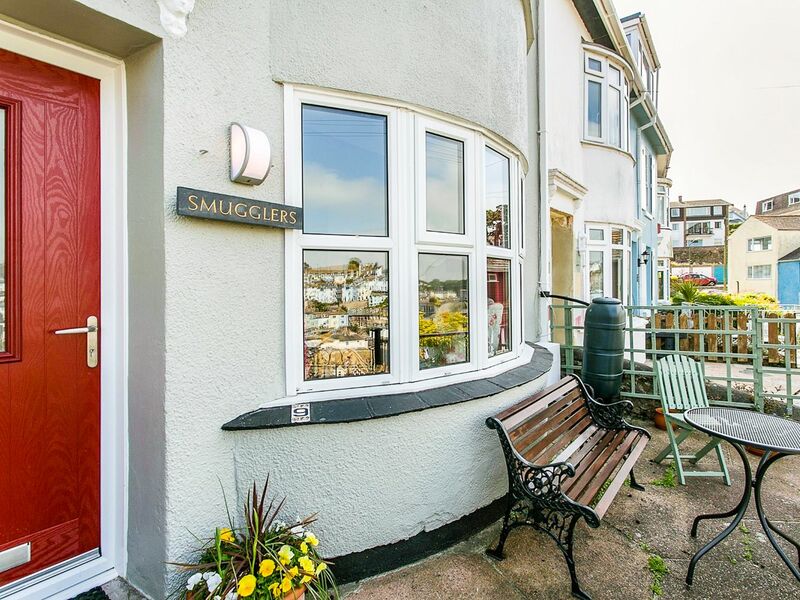 Occupying an enviable location overlooking Brixham harbour and bay, this property is only a five-minute downhill walk from town via a set of steps. Here you can browse the impressive selection of boutique cafes, shops and restaurants or head to the harbour itself to explore the coastline by boat. While wildlife lovers should take to Berry Head Nature Reserve, those looking for a slice of culture will enjoy the nearby Greenway Estate and Coleton Fishacre. This charming cottage is approached via a set of 14 steps to the front door and has been tastefully kitted out with antique furniture and accessories throughout. A spacious open-plan lounge/diner welcomes you into this home and features a large bay window overlooking the town and an original fireplace with open fire for those cosy nights in front of the TV and DVD. Towards the back of this room, a dining area with a fantastic pine settle and cushions sets the scene for delicious dinner parties while away. Continue through to the kitchen, which is compact yet bright and features a sandstone tiled floor, electric oven, halogen hob, microwave, fridge with ice compartment and washing machine. Upstairs, the master bedroom features a double bed, antique pine wardrobe and elevated views through a large bay window. The second bedroom also has a double bed and plenty of storage space. The bedrooms share a clean and bright bathroom with shower over bath, WC and washbasin. 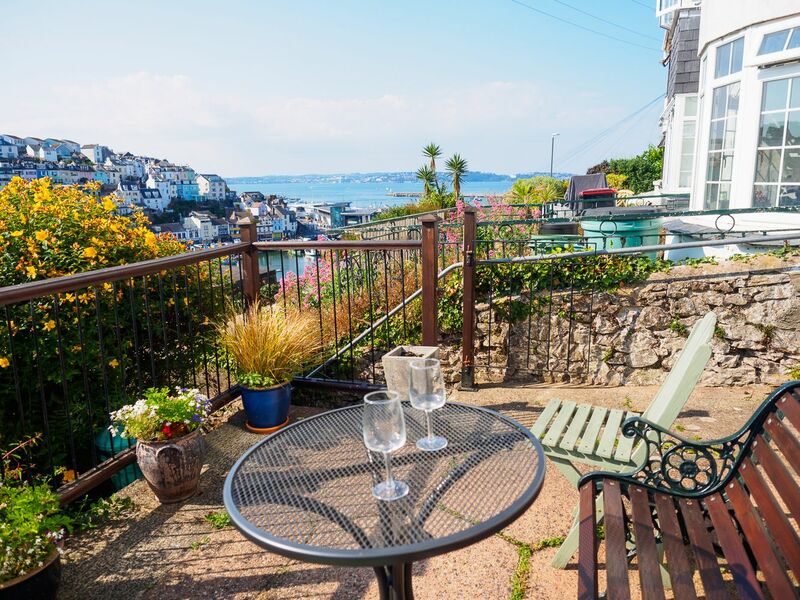 At the front of the house, a patio area with bench and table overlooks the colourful fisherman’s cottages of Brixham harbour and the sea beyond. This is a stunning spot for enjoying a glass of wine while watching the boats. Please note: Set in an elevated position with some steep steps, this property would not be suitable for anyone with mobility issues, however, cheap local taxies are plentiful and can drop you outside. Parking - Smugglers is located in a narrow road, however, free parking is sometimes available in a public space opposite the property. There is also free on street parking in the roads surrounding the property. Torbay council no longer issue physical parking permits. If you wish, you can order a virtual permit online at a cost of approx. £35 per week. These permits are valid for all of the 32 council pay and display car parks in the wider Torbay area including the 4 in Brixham – very useful if you plan to travel around the area. Full details and a web link will be sent with your arrival information approx. 6 weeks before your holiday begins. Short breaks of 2 nights or more with variable start days available most of the year except peak summer weeks and Whitsun bank holiday week. Smugglers has great views across Brixham harbour and is literally a few steps (well about 100 steps, straight down) from the centre of town. We were there over New Year and arrived to find the open fire all fully prepared for us to light it up and sit back to enjoy the cosy flames. The house was nice and warm, the beds were comfy, and WiFi and all the appliances worked without a problem. All in all, a very nice house in a brilliant position. We have had an excellent stay location perfect for afternoon and evening sun lots of good local restaurants,would recommend taking taking the boat trip to Dartmouth staff and captain very amusing and some very good walks,one word of warning the steps are a bit steep but they wear of the excess food and the odd drink!! 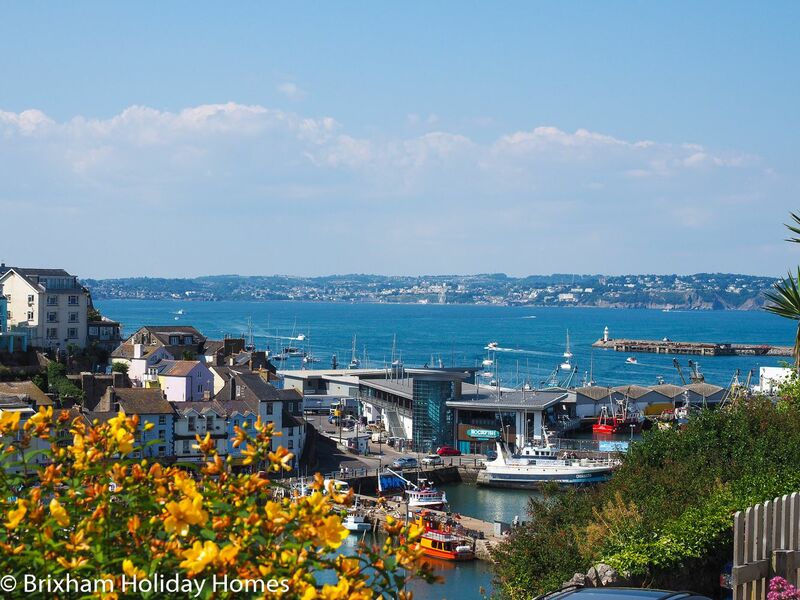 Perched above Brixham's pretty inner harbour, its a 5 minute downhill walk to the centre with its many shops, restaurants, cafes and pubs. The nearest train station is Paignton - a 15 minute drive away. Local buses and trains connect with Paignton, Torquay, Newton Abbott, Totnes, Plymouth & Exeter.